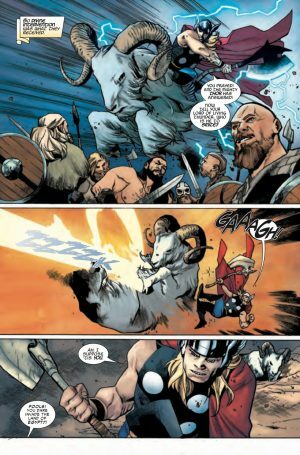 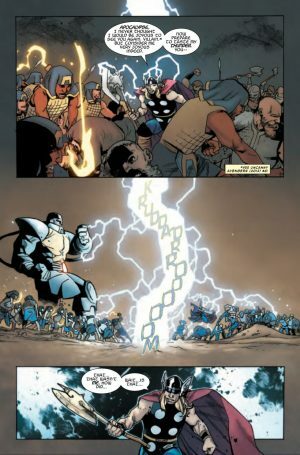 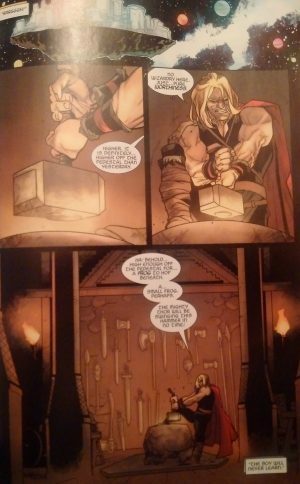 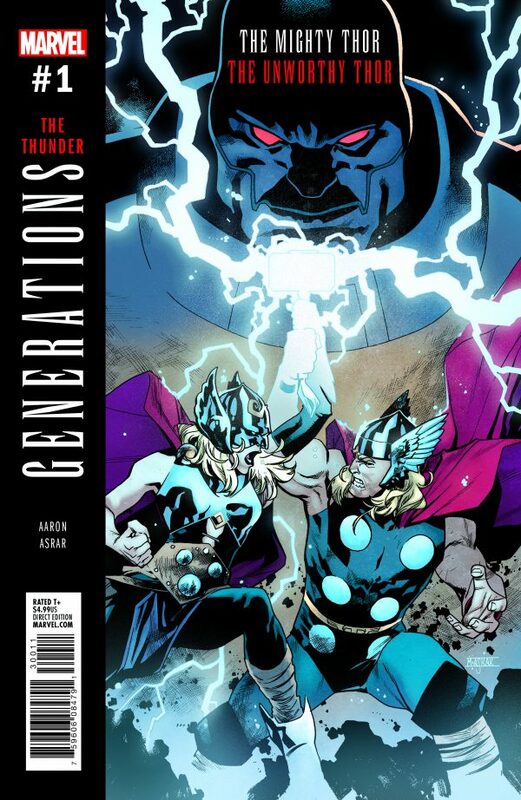 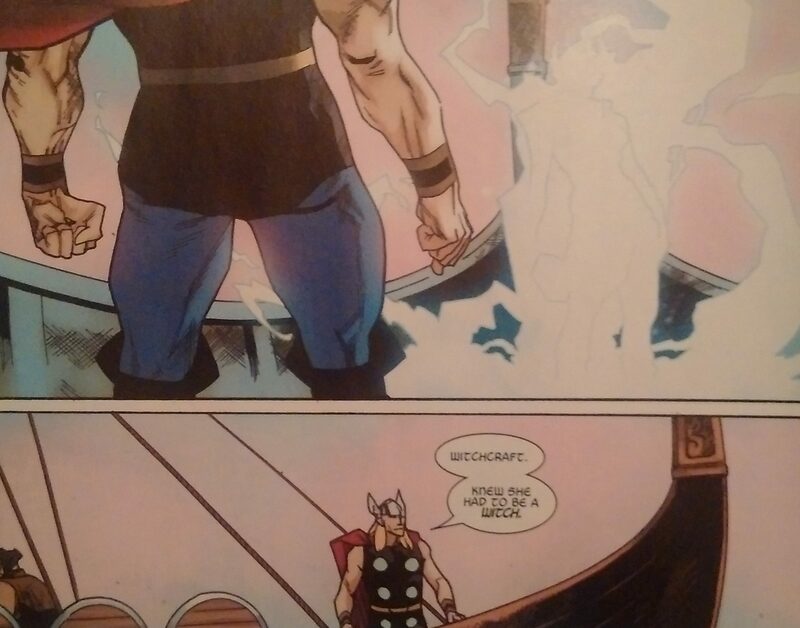 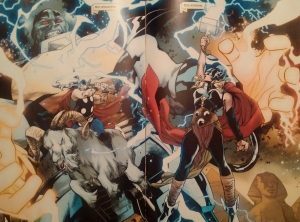 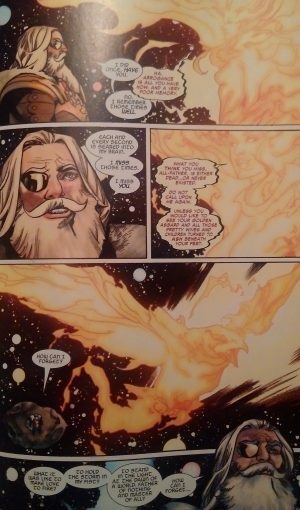 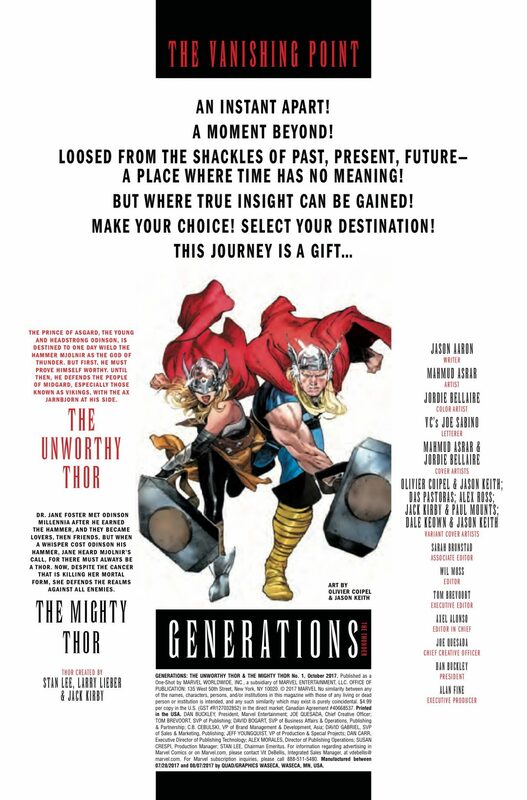 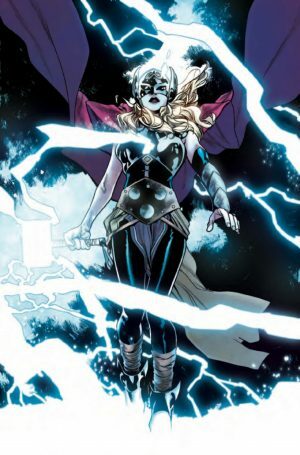 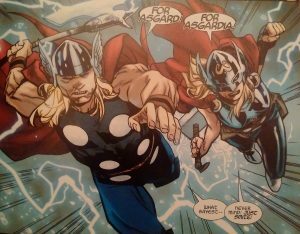 Marvel Comics Legacy and Secret Empire Spoilers for Generations: The Mighty Thor and The Unworthy Thor #1, The Thunder, follows. Like Marvel’s previous Generations one-shots, the book opens with the Vanishing Point poem page which appears to tell us that the catalyst for this tale is during or at the end of Secret Empire #10. 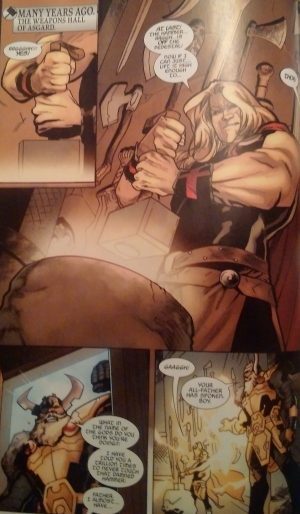 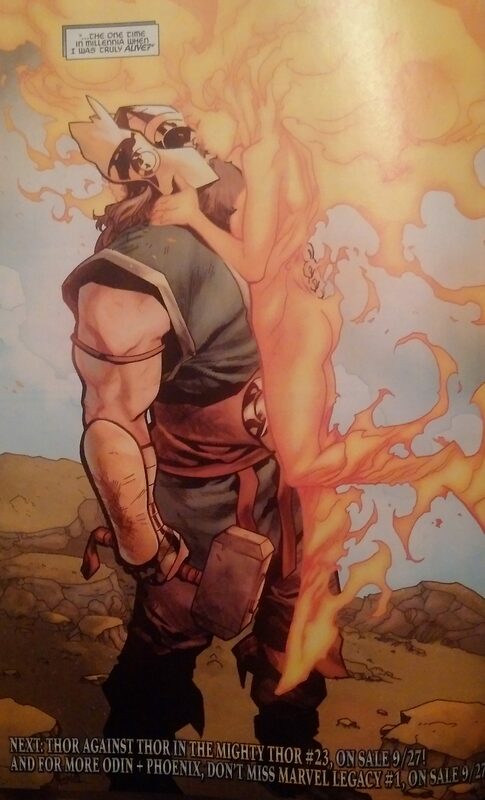 Set well into the past, the book opens with the young Odinson still not ready to be worthy of wielding Mjolner. 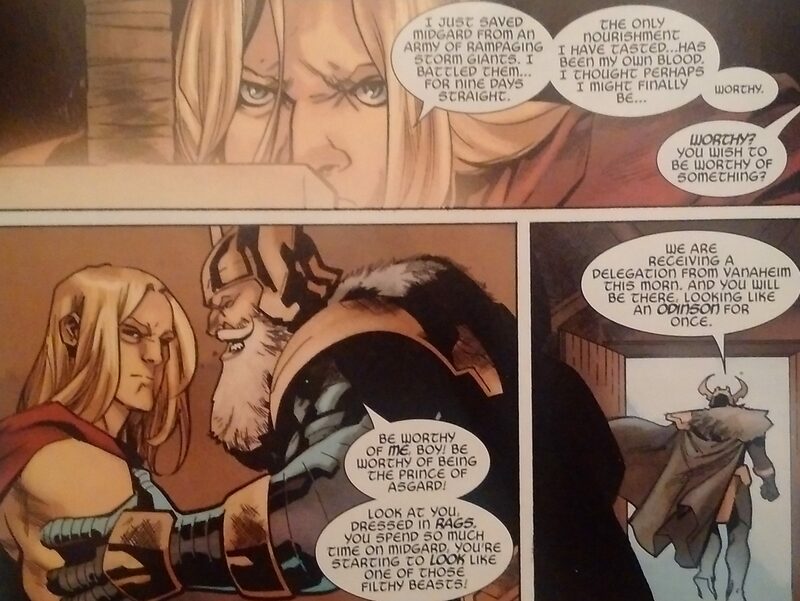 We also have his father, the All-father Odin, explain to young Thor what worthy might mean. …take own perennial X-Men villain Apocalypse. 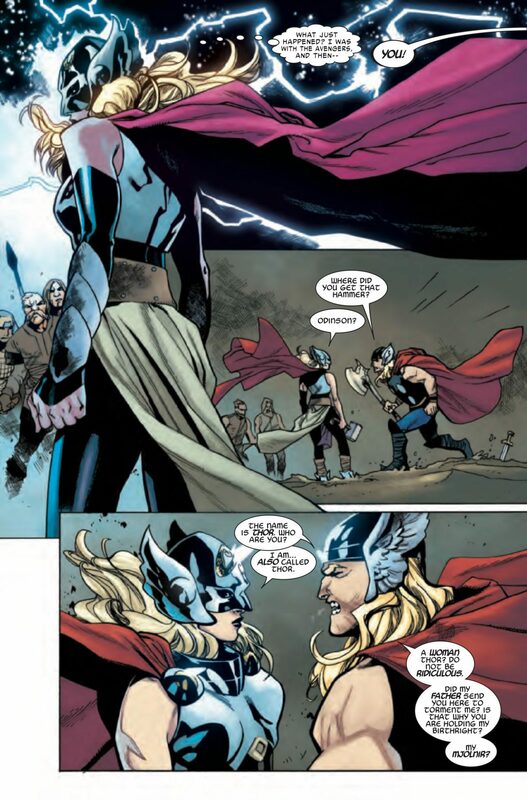 …Jane Foster, the modern day Mighty Thor, appears in a flash of lightning. 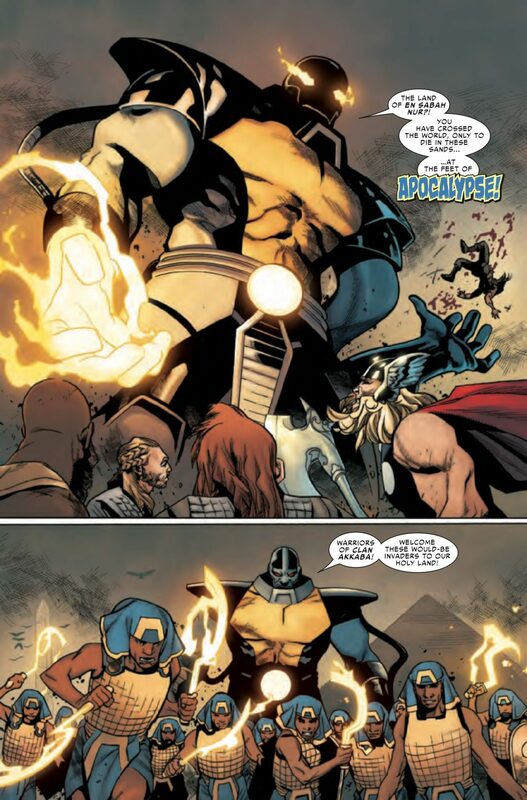 …they realize the real battle is with Apocalypse with Asgard or Asgardia (wha?) as rallying cries for the Thors. 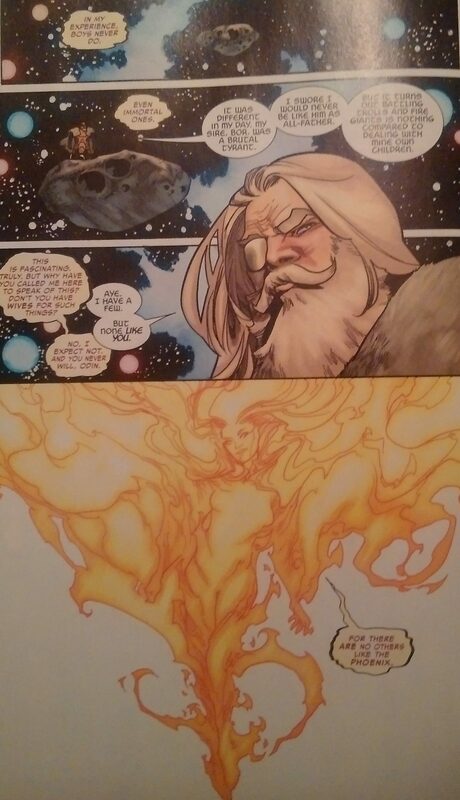 …defeat him over a few gorgeous pages of art. The book ends with the modern day Jane Foster, Mighty Thor, being whisked to somewhen during Secret Empire #10 as the Odinson of the past, perhaps a bit drunk to, explains this female Thor’s visit as witchcraft. 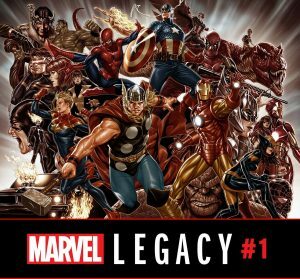 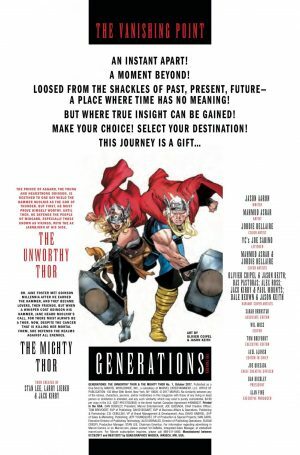 We now move into the last few pages of the book that set up the Avengers 1,000,000 BC prominent role in Marvel Legacy #1 one-shot that kicks off Legacy for Marvel. 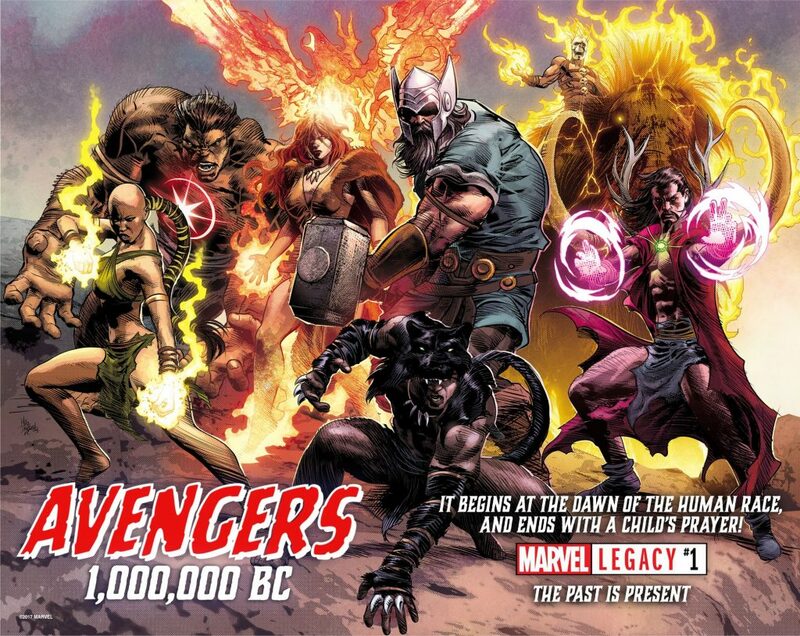 …they were loves and team members of Avengers 1,000,000 BC. 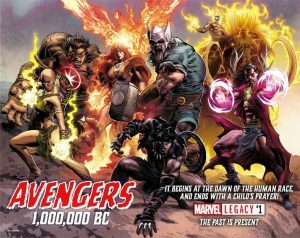 …we’ll see all of the Avengers 1,000,000 BC! 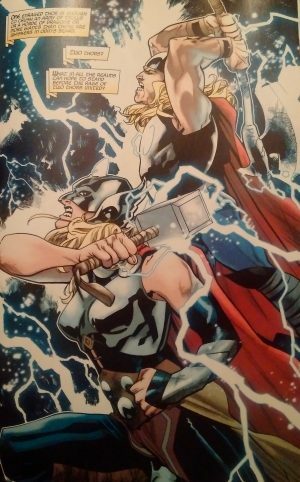 An interesting and intriguing read.